Imagine you’re pitching a new idea to your team. Nervous butterflies are rumbling around in the pit of your stomach, your palms are sweating, and your thoughts keep getting drowned out by the steady tick-tock of the clock. As you struggle to calm your nerves, you hear your manager’s voice in the distance. He’s politely asking you to present your idea...you gather your thoughts, stand, and open your mouth to speak. In this moment, ask yourself, "what would a leader do?" The keynote presenters who spoke during IHRSA 2018 taught us to lead by always presenting your idea, just like you practiced, and speaking confidently about the benefits the idea will bring to your company and your team. During her keynote presentation, Lisa Bodell, founder and CEO of futurethink, said feelings like risk, fear, power, control, and trust cause complexity and hold us back from accomplishing our goals. But, if we can take a step back and think a little bigger by recognizing why we do certain things that hold us back, then we can begin to make change happen. Industry leaders listen to Lisa Bodell, seated far right, speak during an IHRSA 2018 talk. Like Bodell, entrepreneur Josh Linkner and UNC Chapel Hill professor Al Segars, also touched on the idea of “thinking bigger” to build a better company, team, and leadership environment. 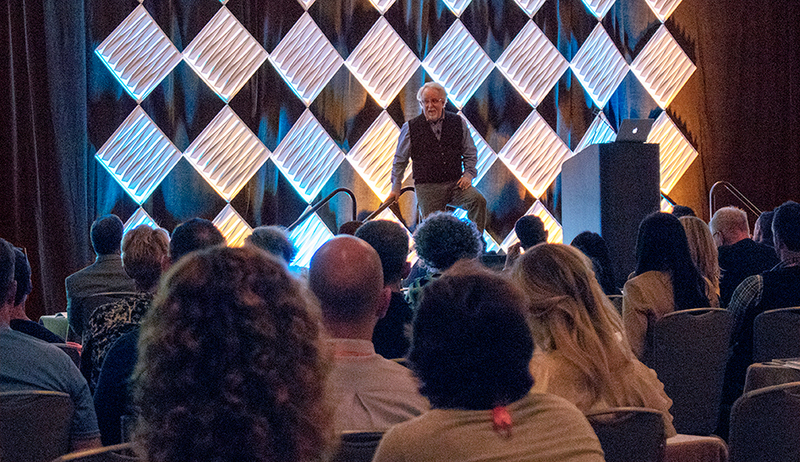 Here are six big-picture insights these three IHRSA 2018 speakers shared with ILC members during exclusive ILC Experience VIP sessions and the ILC Summit that you can use to take your business to the next level. Linkner, founder and former CEO and chairman of ePrize and founding partner of Detroit Venture Partners, likes to find his best—or “A”—employees by holding auditions. “I like to audition people not based on a resume or a job interview,” he said. “I like to give people a challenge that tests them rather than setting them up to provide an answer they would give in an interview. [Our company] detailed our core values and figured out what we truly are, and then we reverse engineered interview questions to see how people would fit into our culture. Over an intimate lunch conversation with ILC members, Linkner also spoke about why it’s important to find “A” people because of how they connect to the bigger picture. Oftentimes, it's the “A” people—the stellar, passionate individuals who can see the bigger picture—with the “C”—or average—idea who had the drive to make that idea successful, whereas the “C” people who had the “A” idea fail. 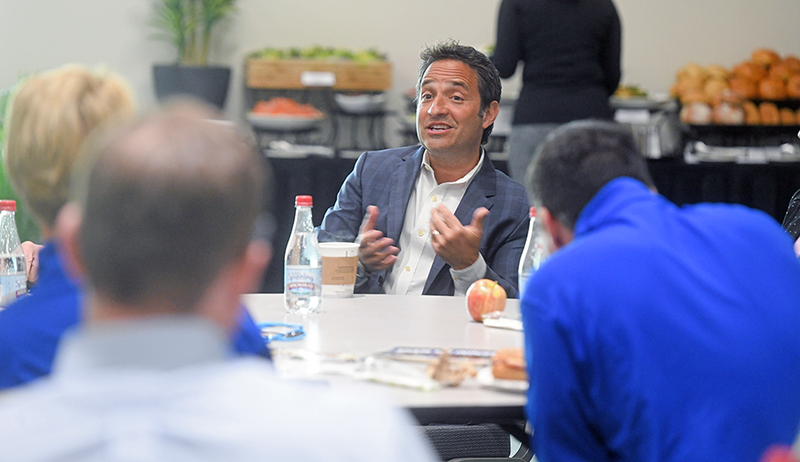 Josh Linkner talks to a group of IHRSA 2018 attendees. Building connections with passionate individuals is one of the best ways to identify and hire employees, and Missy Moss, corporate regional director of operations in Northern California for Orangetheory Fitness, says the ILC Experience gives her the great way to make new and lasting connections. “You have to give people a toolkit to make changes. People have this fear of speaking up, and on the opposite side of it, some people don't want to,” said Bodell during her private ILC VIP session. In conversations with members, Bodell also stressed why it is crucial to start small and implement changes from the top down. If change is agreed upon at a senior level, then it will be much easier for junior level staff members to feel comfortable adopting and then practicing new changes on a regular basis. Since many staff members may initially be hesitant to make decisions without the approval of leadership, Bodell recommended making it clear that staff have the authority to make changes on their own. Then, leaders should ask their staff to report back about the decisions they made. 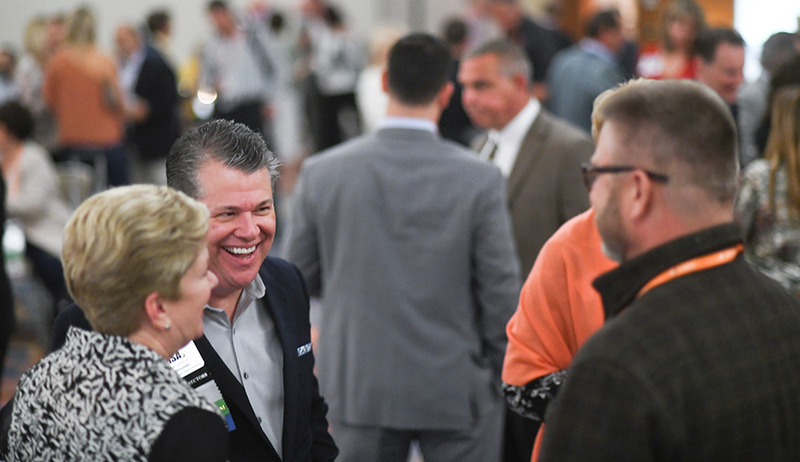 This is one of the big reasons Steve Capezzone, COO of Healthtrax, insists his staff members join him for these private ILC VIP keynote sessions. 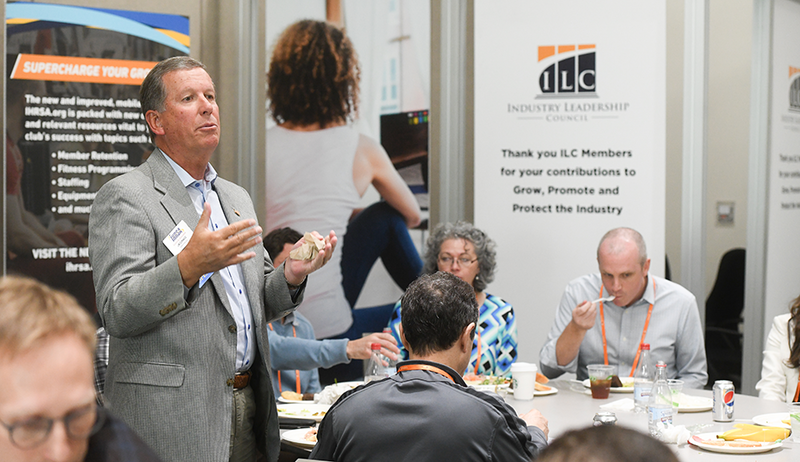 "Being part of the ILC has provided opportunities to stay informed about the multitude of legislative issues that have tremendous impact on our business and industry. Additionally, I love the access it gives me—and my team—access to keynote speakers in a more intimate setting, to gain further insight on cutting-edge issues that we all face every day." Al Segars speaks at an ILC summit. During the ILC Summit, Segars, Ph.D., PNC Distinguished Professor of Strategy and Entrepreneurship, and faculty director of the Center for Sustainable Enterprise at UNC Chapel Hill's Kenan-Flagler Business School, told ILC members and global industry leaders that in order to achieve extraordinary goals it’s crucial to think bigger and learn how to best leverage the talent of every team member. To effectively do this, it’s important to take a deeper look at the kinds of people and personalities you have on your team and how you can best communicate with each of them to keep your business running like a well-oiled machine. According to Segars, the following list of personalities is not exhaustive but will help you identify some categories some of your colleagues may fall into. Wizard: The person who provides research, data, scientific experiments, etc. Segars also suggested that taking the famous Pottermore Sorting Hat test could be an interesting way to discover different personality types within your team. The test—based on the Harry Potter novels—asks a number of personality questions and will sort each individual into one of the four Hogwarts houses—Gryffindor, Slytherin, Hufflepuff, or Ravenclaw—based on the answers the test-taker provides. This one is more straightforward since rules change and evolve over time. Bodell mentioned the example of a manager talking about his company’s monthly operating report. “Everyone at the company hated putting it together, including the manager who came up with the idea, but he said that he did not feel comfortable killing it because he was the one that created it,” she said. This case exemplified why it is increasingly important to ask out-of-the-box questions about why certain rules are in place. It’s also critical to consider how feasible it might be to make adjustments to these rules or change them altogether. Jim Zupancic shares his insights in the industry at an ILC session. “Everyone is creative—just like we all breathe air. No one person breathes air better. Encouraging one another to take responsible risks is the best way to unleash creativity. My goal is to help people become more connected with their creative sides,” said Linkner during his ILC Experience session. This third tip really resonated with Bodell as well. When an ILC member asked Bodell what the best piece of advice she ever received was, she recounted a personal story about creativity and how she used negative feedback she received to change her outlook on her own creative abilities. “The best piece of advice I’ve gotten is to not listen to every piece of advice that's given to you. I was told that I wasn't very creative, but honestly, I was never given the chance to be. Right then, I realized that it was because no one had ever seen me be creative—not because I couldn't do it,” she said. IHRSA’s Industry Leadership Council (ILC) is an exceptional group of industry members who go above and beyond the call of duty to promote physical activity around the globe. ILC members mingle at an event. One of the many reasons ILC members are able to think bigger is because they’re invited to attend private events like the ones mentioned above. Are you ready to think bigger and get exclusive access? 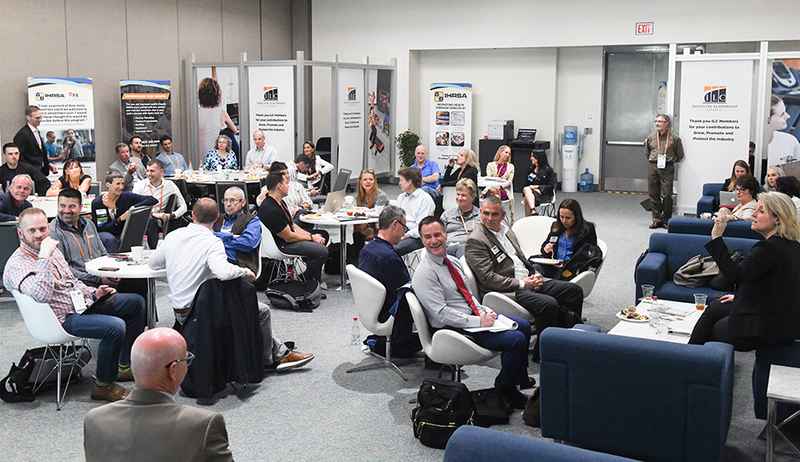 If you contribute to the ILC before IHRSA 2019, you will get access to all of the special insights mentioned in the private sessions (open only to ILC members) and be able to take advantage of the opportunity to ask individualized business questions to our speakers. Trust us, you won’t want to miss out. But don’t take our word for it—Brad Wilkins, president of Cooper Health and Fitness, explained this benefit perfectly.